The Flatline is Bontrager’s first flat pedal offering. Bontrager recently entered the flat pedal market with the Line Pro. 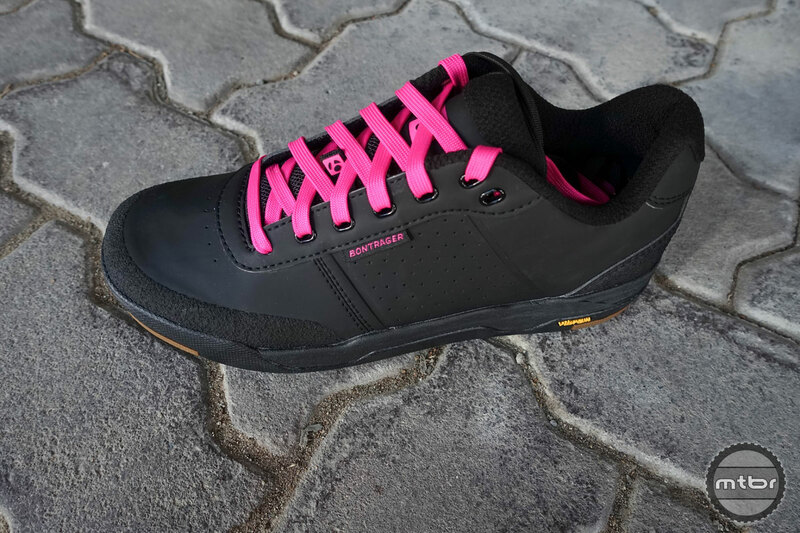 To compliment their new flats, Bontrager is debuting a new shoe. The Flatline is their first flat pedal offering. Developed in conjunction with Ryan “R-Dog” Howard, it features a Vibram sole. 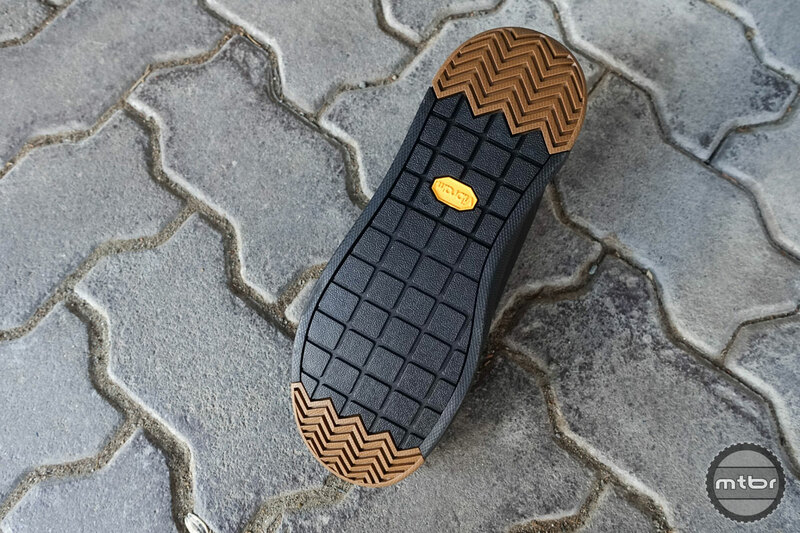 A vibram sole and EVA midsole should provide a grippy, yet comfortable ride. The center of the sole has smooth uniform pattern for interfacing with the pedal platform, while the toe and heels are textured for traction when hiking. The midsole uses an EVA foam for comfort. 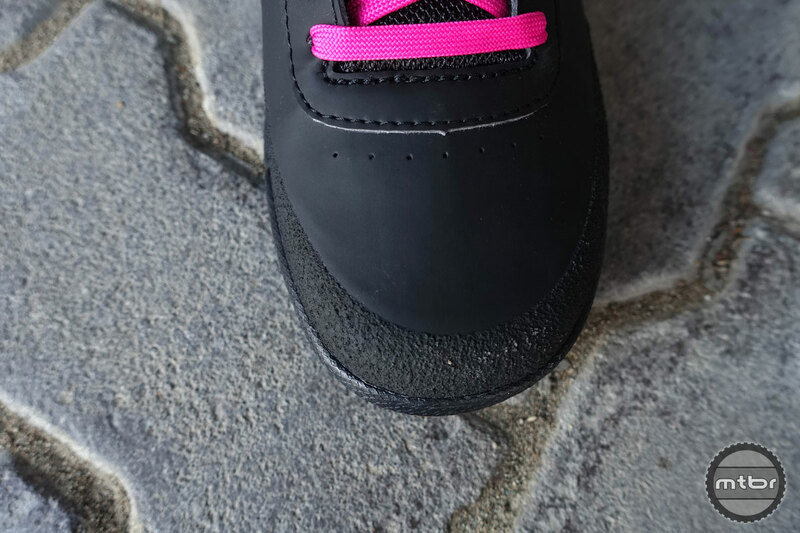 Around the toe cap and heel, Bontrager has implemented a Rhino Liner type material for protection. The Flatline is available in three different color schemes. At launch, the shoe will be available in three different colors. There are two gender neutral colors, as well as a ladies version. All three versions are essentially the same, but the women’s shoe ships with pink laces installed. All three shoes ship with two sets of laces, so you can choose whatever colorway you prefer. To learn more about the features, watch the short video above. The new Rally combines the best features of the Lithos and Rally helmets. In addition to new slippers, Bontrager was showcasing the new Rally MIPS. This helmet combines the best features of the Lithos and Rally helmets. It retails for $139 and has a MIPS layer, improved ventilation, and is 40 g lighter than the outgoing Lithos. 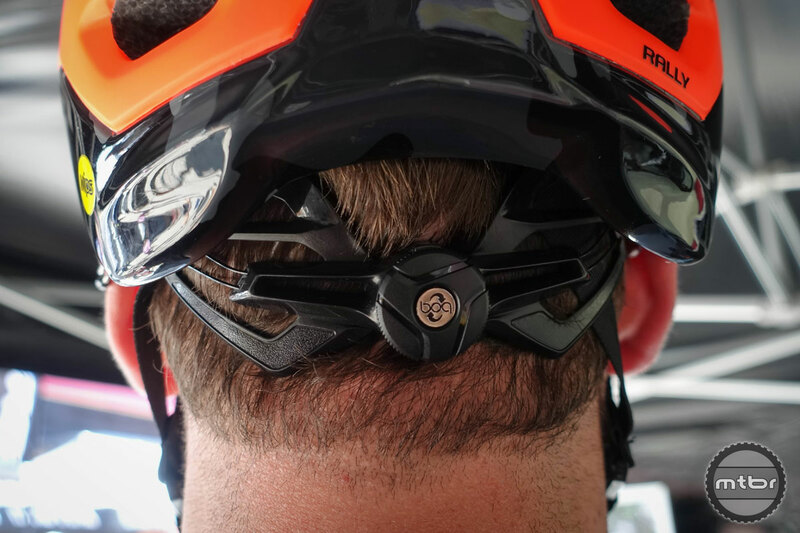 Bontrager uses a strong magnet embedded in the helmet’s foam to help mount accessories securely. In the case of a crash (or tree encounter), the system is designed to break away. 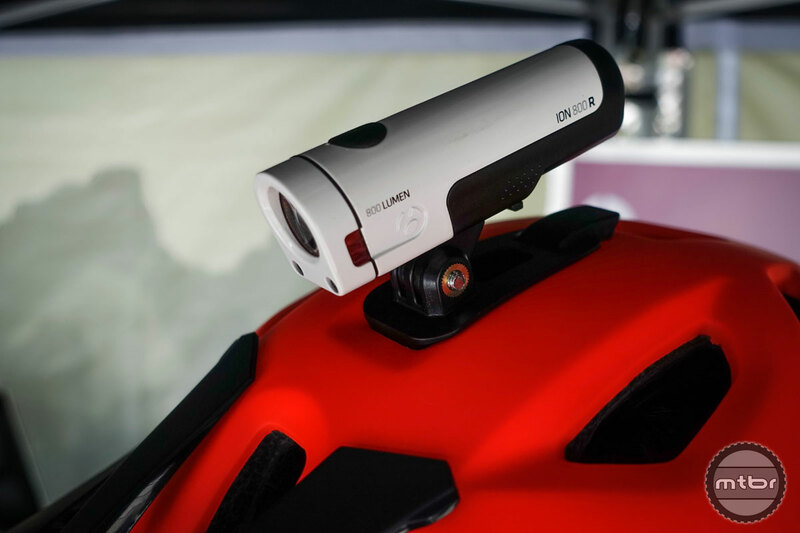 It also incorporates the Blend’r Light and POV mounting system, which uses a magnet embedded in EPS foam for secure fit. Other new features include additional rearward protection and a BOA fit system. 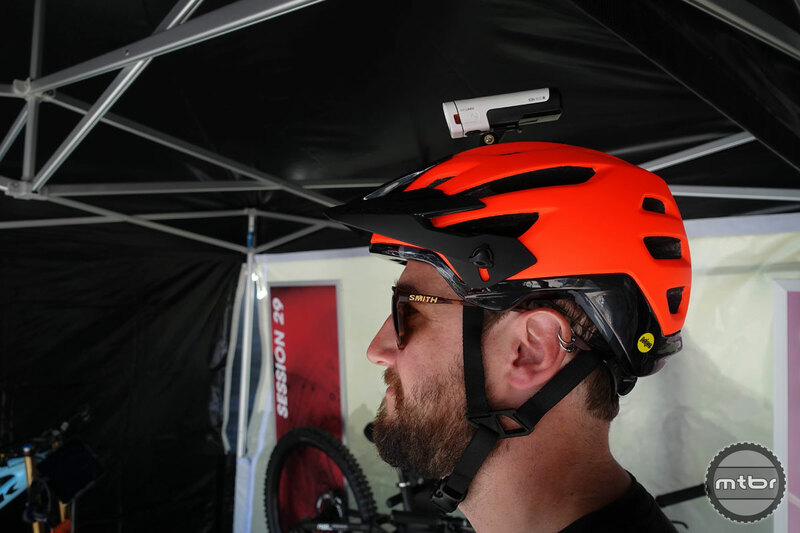 To learn more about the helmet features, watch the short video above. The new goods aren’t shipping just yet, but stay tuned to Bontrager to learn more. The Line Pro is Bontrager’s first flat pedal offering. The Line Pro is available in three different color schemes.